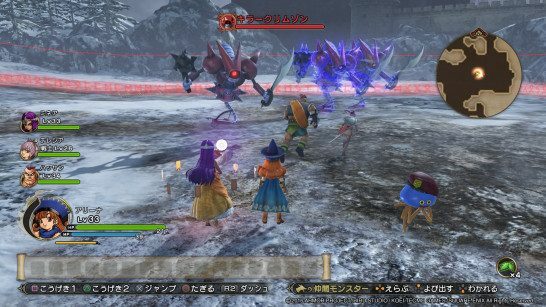 This page contains a full walkthrough of the Main Quest Ihrim Snowfield in Dragon Quest Heroes 2, including enemies, objectives, and strategy. We will be updating this as we go along. 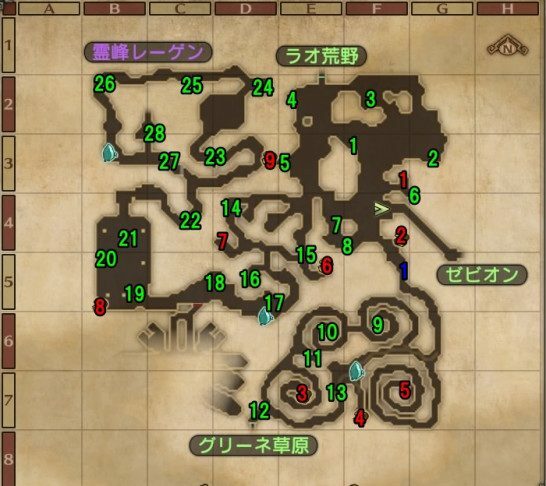 This page contains a walkthrough on the main quest “Ihrim Snowfield” in Dragon Quest Heroes II. Most of the terms here are based on the Japanese version of the game, so some terms may not be translated clearly. We will be updating this when the English version of the game comes out in April 25, 2017. Approach West trekking through the E-4 path. Operate the stone monument located at D-5. Continue with the B-2 stone monument. Head to the B-3 Gate. Locate the monuments at F-3, B-4, and D-2. Return to the gate at B-3. Take out the Mandrake Marshal to gain access to F-5. Avoid Killing machine at all costs as it is a tough opponent to beat. Be sure to gather all the items along the way. ※ Materials marked with 1 are obtained after finishing the Quest “The way to the legendary equipment” which requires you to Defeat all enemies. The obstruction at C-5 requires you to crack the code. Focus on its head and tail as those are its weak points. With its heavy reliance on its head to inflict heavy damage, prioritize on whittling it down before going for its tail. It will attempt to Bite you when you deal with it in front, whereas if you manage to get behind it, it strikes some tail whips instead. Whenever the Blue dragon lifts its face up, it will attempt to expel a huge amount of acid, best to dodge it by getting behind it at all times. Aim for the geyser on the terrain to knock it down then strike some fierce blows to finish this battle. Although it has tremendous attack, it moves sluggishly, allowing you to whittle it down. It alternates between stepping, and using shock wave. Whenever it unleashes the massive shock wave, stop inflicting damage to perform a leap to evade it. It will stagger after using the shock wave, thus prepare to launch a flurry of strikes while it exposes itself. Stick to the right side to minimize the chance of suffering from its glacial breath. It casts magic when you turn against it or are distant, in order to alleviate this make sure to close the distance whenever possible. Be wary also when it tilts its head to the sky as it will hurl ice balls, dodge it by moving either to the left or to the right. It does not sport a high attack and its attacks are relatively safe to dodge. Ultimately, aim to Shove it to knock it down to finish the battle. The enemy that stands out among the others, Killer crimson separates itself by utilizing a unique attack pattern. Apart from its high offense, it might pull off 200 points of damage in just a single hit. Use the hero’s Kazap to strike some heavy damage. Slowly whittle it down with the Zap attribute, and make sure to have some room to maneuver to dodge it as it gathers some electric energy. Once the electric dissipates, close in to net additional damage.